Sunrisers Hyderabad replaced the Deccan Chargers franchise in the Indian Premier League from the 2013 season. The likes of Tom Moody, VVS Laxman and Muttiah Muralitharan have been in the coaching staff of this franchise. Thus, a lot of new players nurtured well under their guidance. The Hyderabad franchise finished at the 4th place in its debut season and it took them just 3 years to lift their first IPL title. Popularly known as the Orange Army, SRH lifted the IPL trophy in the year 2016 under the leadership of David Warner. Last year, they finished at the 2nd position, which shows the level of consistency that this team has. Along with the foreign stars, the young Indian brigade has also played a huge role in SRH's success. 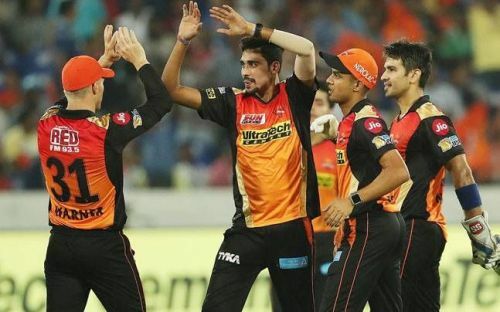 In this article, we will have a look at the 3 players who played for India in T20I after impressing for Sunrisers Hyderabad. 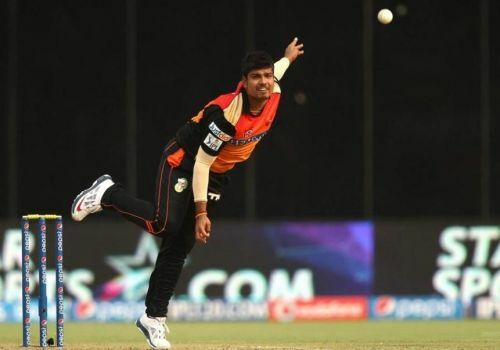 Uttar Pradesh born leg-spinner, Karn Sharma was the first uncapped player who played for India after impressing for Sunrisers Hyderabad. The Meerut leg-spinner picked 15 wickets in his 2nd IPL season for SRH which paved the way for his T20I debut. Sharma received his maiden T20I cap in a match against England on 7th September 2014. However, that proved to be the only T20I Karn played in his career as he failed to make it to the Indian playing XI in any other T20I match after his debut.